Janne Hanhisuanto is an accomplished ambient artist hailing from Finland. Music has always played an important role throughout Janne's life, both as a listener and as a composer. 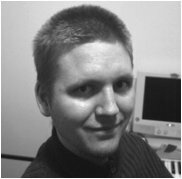 He started experimenting with music using Scream Tracker somewhere in 1996, greatly encouraged by his brother, focusing on keyboards, guitar, and sequential composition. For Janne, music is simply his preferred means of personal expression, saying: "I always try to find new ways to express myself, but music seems to be correct way to me". He has released two other albums, one called Padmospheres, available on Dharma Sound, and Reflections, on Tibprod.Italy. Earth Mantra is very proud to be bringing the music of Janne Hanhisuanto to our listeners, and we hope to hear much more from him in the future.